Ensure your weekend look is on point with these must-have pants. 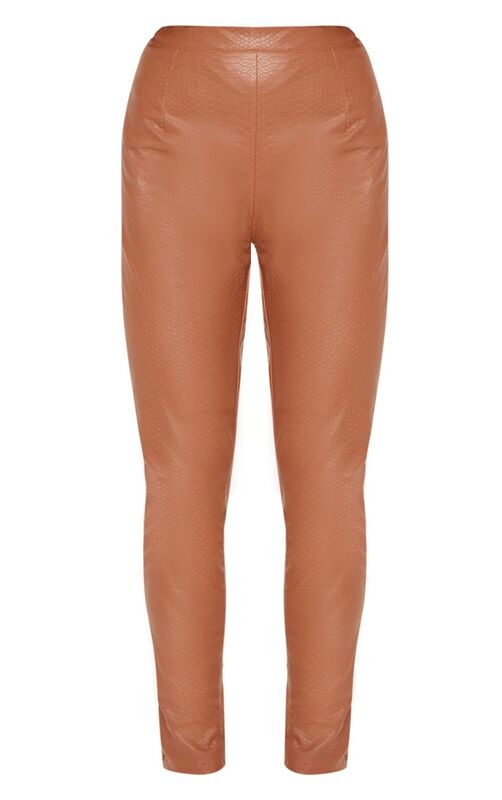 Featuring a tan faux leather fabric, high waist and skinny fit, what's not to love? Style with a snake print shirt, mini handle bag and clear heels for a look we're obsessing over.